If you're reading this description, you probably teach kids about the importance of voting. Every student hears this message in school- so why DON'T people vote as an adult? 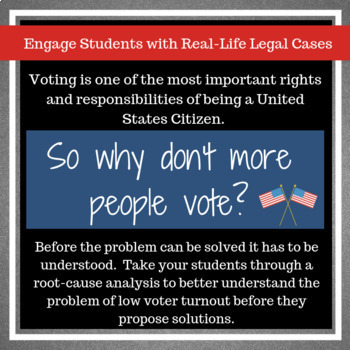 In this thinkLaw lesson students spend time conducting a root cause analysis for the problem of low voter turnout. Is it apathy? Are people overwhelmed? Do people feel that their votes don't matter? Have your students wrestle with these issues. 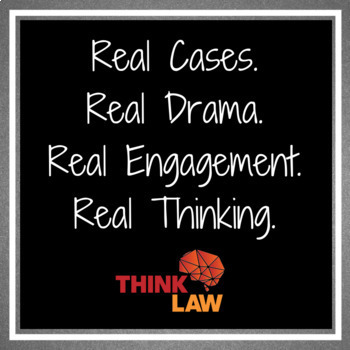 The best critical thinking occurs when student productively struggle over real-life issues. Real life is messy and grey and doesn't have easy answers! 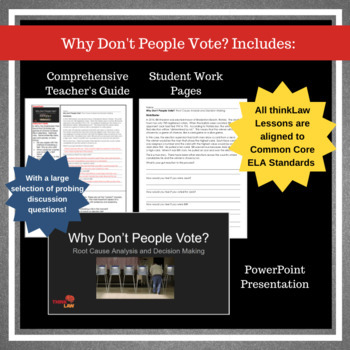 All resources are available for download and on Google Docs! 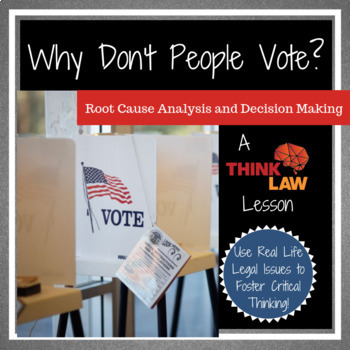 Be sure to check out our other Root Cause Analysis and Decision Making Lessons on TPT!